Apple's iTunes Radio is a Mess. 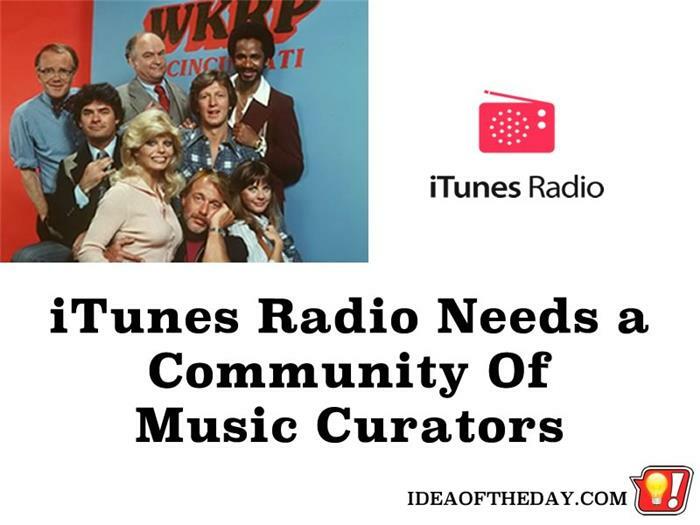 They Need a Community of Music Curators. WKRP In Cincinnati was a lousy radio station until they brought in Andy Travis, the new Program Director to help them pick better content. iTunes Radio needs people like that, because it's a mess right now. Full disclosure. I love Pandora Radio. I've used it from the first day it popped up in the iPhone App store mainly because I love music and it does a great job of finding music that fits my mood.